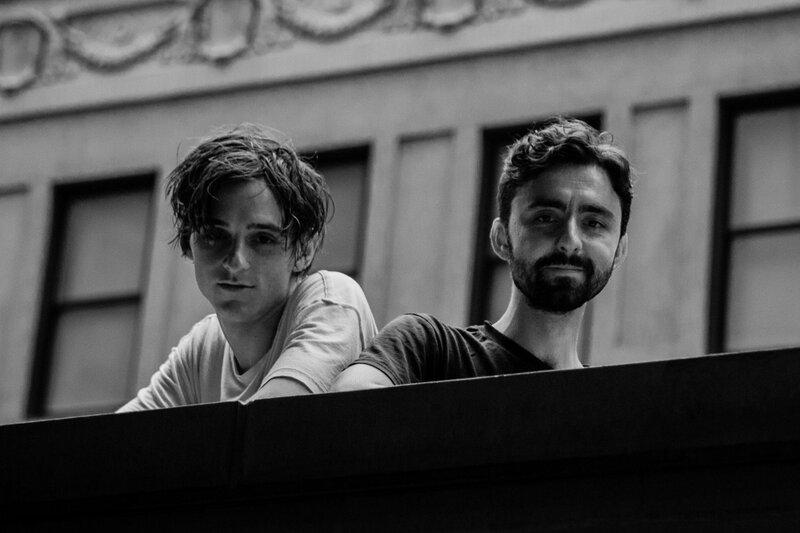 Lionlimb, comprised of founding members Stewart Bronaugh and Joshua Jaeger, are pleased to announce their new album, Tape Recorder, coming out February 23rd 2018 on Bayonet. It’s the follow up to 2016’s Shoo that featured stand out tracks “Turnstile” and “Domino” which received praise from The Guardian, Loud and Quiet, The FADER, Stereogum, BEAT, Under The Radar, Cool Hunting, Dangerous Minds, GoldFlakePaint and more. Tape Recorder is a collection of six tracks written by Bronaugh after Lionlimb’s second European tour in Fall 2016, primarily on piano in Columbia University practice rooms. After having collaborated with a friend who plays cello, Bronaugh began expanding the songs to include violin, cello and bass clarinet. Having been the first time he scored music by hand, Bronaugh looked to ‘70s minimalist composers for research. After recording the entire album live, the resulting six tracks on Tape Recorder are reflective, soulful, and based around loose themes of family and memory. Bronaugh recalls an incident that inspired the album’s title track, “Tape Recorder,” from his youth when a friend of his collapsed during gym class and went into a two-week-long coma due to a heart condition. He and his classmates were encouraged to record cassette tapes of themselves singing songs to be played at his bedside. This ended up being one of the experiences that inspired Bronaugh to continue recording music as a means of connecting, healing, and having hope. On the flip side, songs like “Clover” on the album deal with the more frenzied aspects of recording such as self-doubt and isolation. The minimal, bare-bones live recording of the album and collaborative orchestration of the music give Tape Recorder a deeply human and tangible beauty.